Broadband users often face countless network errors on a regular basis including myself. But the good thing is that there are solutions for most of these problems. So if you are continually receiving this “Err_Network_Changed” error in your Chrome browser in Windows 7, Windows 8 or Windows 10, here are some solutions for you. Follow the simple methods to get rid of Err_Network_Changed error forever. You can fix this error by setting your LAN configuration, so follow these steps. Try to browse the websites that give you this error to see if it has been fixed. It is a straightforward solution. Just turn off the router (unplug the power supply) and leave it like that for a few seconds. At least 5 seconds and then plug it in, turn it on and wait until it is fully turned on and the lights start blinking. Next, try to surf the websites. Maybe this easy method can fix your problem. This error can be related to your browser so one smart thing to do is reinstall Google Chrome. Download Google Chrome installer from here. Another thing that you can do is clean your computer; this can wipe your Google Chrome data, cookies and cache. Download CCleaner and run the app. It’s easy to use, and you can try this before reinstalling Google Chrome. Click the “Start” button and type cmd in the search box. One of the last things you can do if none of the above methods fix your problem is changing the DNS server. One of the methods can quickly fix your problem, try each one by one. One of the last options to fix this error is reinstalling the network adapter driver. Restart your Windows and Microsoft will reinstall the driver at boot. If Windows fails to install the driver, download the latest driver from the manufacturer’s website of your network adapter. Driver Easy will automatically recognize your system and find the drivers for it. So you don’t need to risk downloading and installing the wrong driver, and you don’t have to worry about making an error when installing. 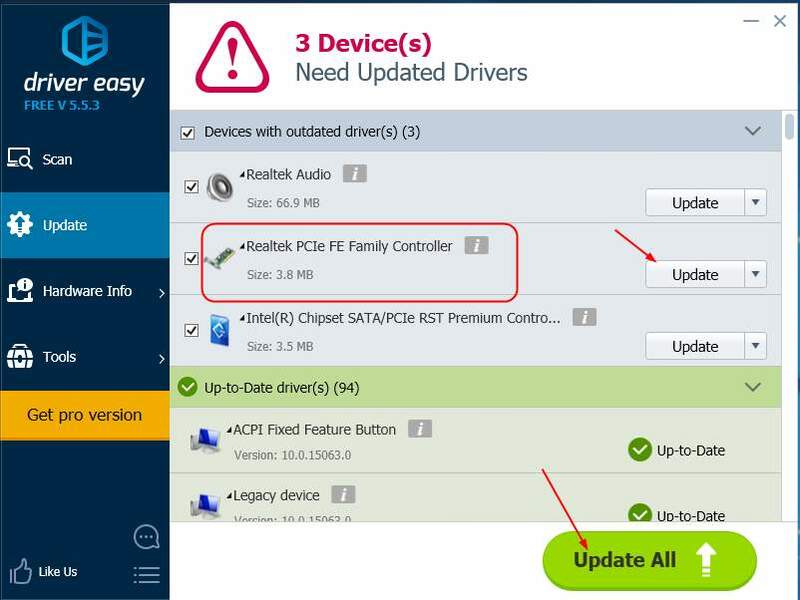 You can update the drivers automatically, either with the Free or Pro version of the Driver Easy. Run Driver Easy and click on the Scan Now button. Easy Driver will scan your computer and detect any outdated drivers. Click on the Update button located next to your adapter network driver to download and install the correct version of this driver automatically. You can also click on Update all to download and automatically install the correct version of all the missing or outdated drivers in your computer. Note: Driver Easy requires an internet connection to update the drivers. If you can’t access the Internet on all of your Windows, let the Offline Scan feature help you . If you have any questions about this tutorial, comment below.